As a comic book geek I know that an ever-changing team roster becomes a theme in the comic book Avengers but teamwork was always emphasized. This comes through in Age of Ultron and is an important lesson for us. 1. Effective Teams: Meld Together Diverse Personalities. The team is made up of wildly different individuals: a billionaire arms manufacturer, Iron Man (Robert Downey Jr.); a fabled Norse god, Thor (Chris Hemsworth); a raging monster/mad scientist (a modern-day Dr. Jekyll & Mr. Hyde) The Hulk (Mark Ruffalo); a WWII war hero, Captain America (Chris Evans), a cold-war, Russian spy, Black Widow (Scarlett Johansson); and expert marksman who was a former thief, Hawkeye (Jeremy Renner). They are under the authority of a mysterious leader Nick Fury (Samuel L Jackson) who is the director of a government covert ops organization. Wow, how could they ever get along? Any team needs people with diverse personalities and skill sets. The key to being an effective team, is melding those individuals into a unit whose skills compliment each other. Tony Stark (Iron Man) at one point says, “I just pay for everything and design everything, make everyone look cooler.” A shield agent had called Tony ‘boss’. Tony points to Captain America saying “He’s the Boss.” While there is resentment in his voice there is something more important for effective teamwork, CLARITY. There is no doubt about who has final decision. I believe in the synergy or group input and discussion but in the heat of battle, someone has to make the final call. Have a clear team leader and give then the authority to make decisions. Side note: That leader must have humility as a dominant character trait or the team will become discouraged. A good leader shares the credit for success and motivates their team to work harder. Tony Stark (Iron Man) is trying to create an artificial intelligence that will protect the world from alien attacks. He accidentally creates Ultron who decides after some brief contemplation, that the Avengers (and humanity) are the problem with the earth. “I know you’re good people. I know you mean well. But you just didn’t think it through. 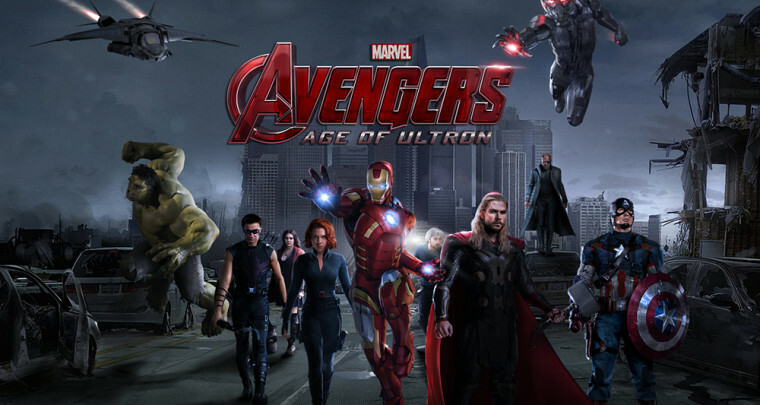 There is only one path to peace… your extinction.” Ultron becomes the Avengers greatest foe. Here’s where it all went wrong. Tony Stark decides to work on the ‘Ultron project’ with Dr Bruce Banner but decides not to tell the rest of the team. He didn’t want to hear their objections to this dangerous project. An effective team communicates with each other to avoid their projects and activities hindering or harming the other team members! Over communicate. As Tony Stark is searching the Hydra base (a terrorist organization) he mutters, “Please be a secret door. Please be a secret door.” and yells, “YES!” when the wall moves and he discovers one. This billionaire inventor gets excited about a secret passage hidden in an old stone wall. We begin every meeting with “What went well this week.” We take time to celebrate the good things, the fun stories, the lives being impacted and the successful executions. Celebrating team success is an important key to being an effective team for the long-term. I sincerely hope 4 fun facts about being an effective team taken from the Avengers: Age of Ultron will help your team become a super team!